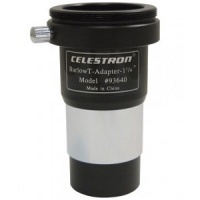 Whether you’re doing planetary visual observing, planetary imaging, or deep sky imaging, the Bahtinov Mask is a great accessory to get the best focus for your telescope quickly and easily. 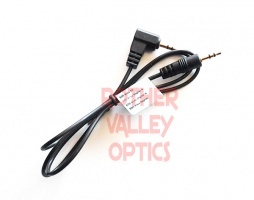 High quality webcam adaptor by RVO. 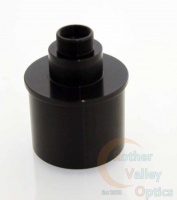 This is a well made adaptor that screws into most universal webcams. Then you can use this in any 1.25" openeing. If you want to use the new Star Adventurer system with a small scope for astro work, you will need this 1kg counterweight with shaft. This fits straight into the star adventurer body and allow you to properly balance the system for more precise tracking. Color CCD cameras such as the Skyris color planetary cameras are very sensitive across the visual spectrum, as well as in infrared. Some telescopes may correct for chromatic aberration, but are not designed to correct for IR light, which can often look defocused in astroimages. Blocking infrared (IR) light provides the greatest color balance and sharpness in your astroimages. 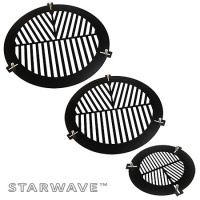 This filter blocks IR while passing more than 94% of the entire visual spectrum, maintaining color fidelity. 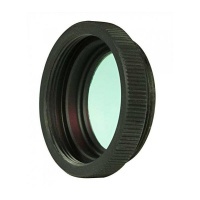 Allows the use of compact cameras to look into the eyepiece of the scope. 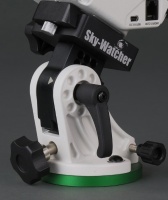 High quality made equatorial wedge to go with the new Skywatcher Star Adventurer for precise polar alignment and more accurate tracking.